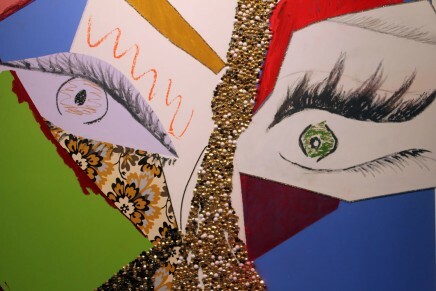 WASHINGTON, DC—Alabama features Martin Luther King Jr. fighting for civil rights.Images of choreographer Merce Cunningham are showing in Washington State. 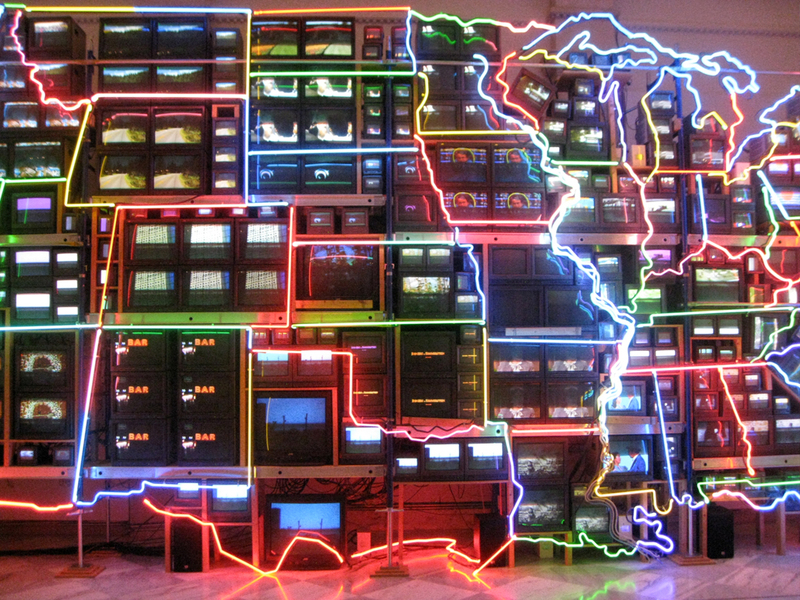 Nam June Paik‘s neon installation captures the cultural mosaic of the United States using video footage to document the people, places and events that the artist associates with each state. 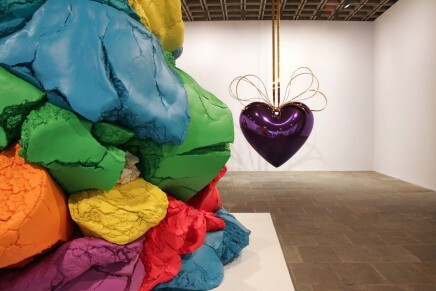 Some connections are personal (Paik is friends with Cunningham), others are news driven. Several monitors feature classic film footage—”The Wizard of Oz” evokes Kansas; “Showboat” is airing in Hawaii. 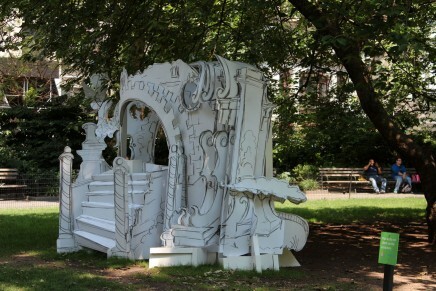 The multimedia map is representative of the artist’s oeuvre. 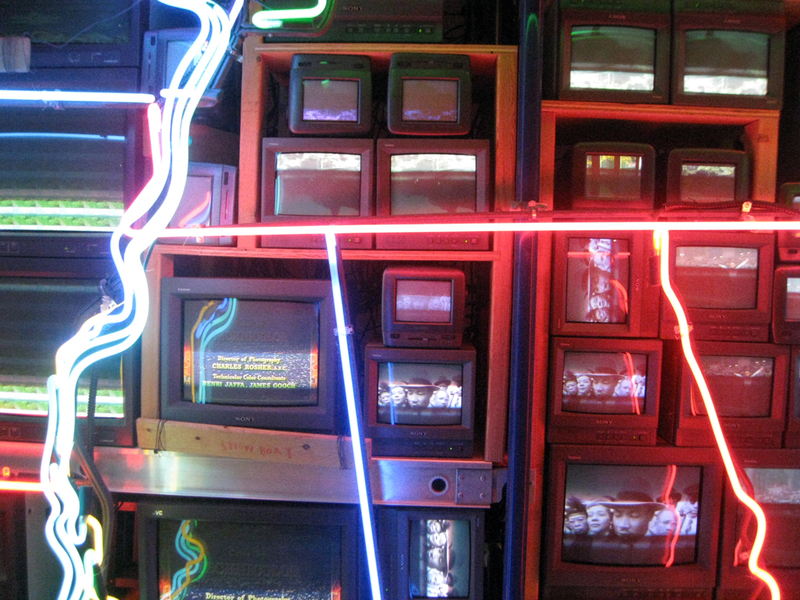 Known as the “father of video art,” Paik (1932-2006) was credited with the first use of the term “information superhighway” more than 40 years ago. 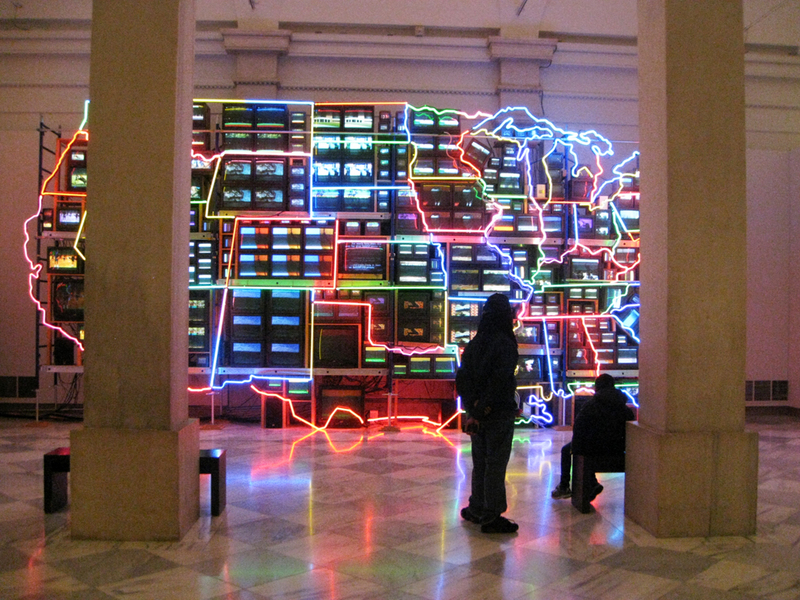 “Electronic Superhighway” is a part of the permanent collection at the Smithsonian’s American Art Museum, where it is currently on display. 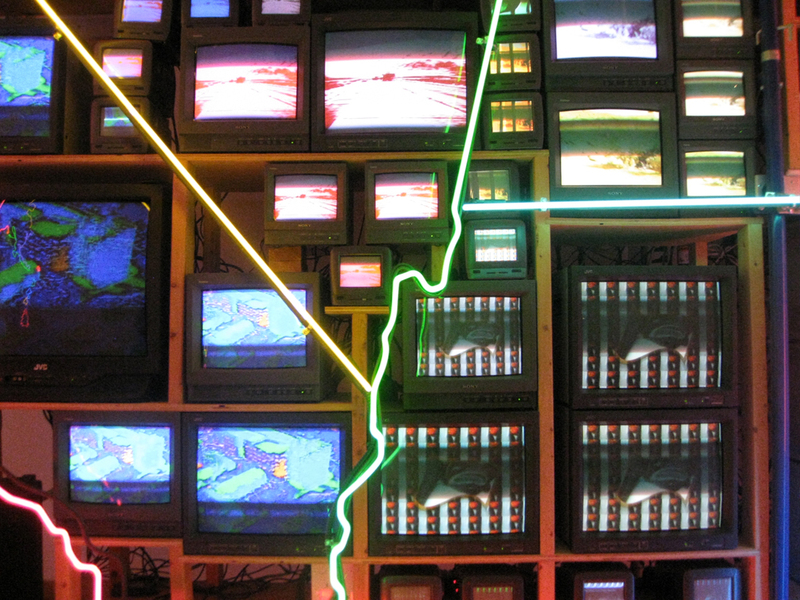 “Electronic Superhighway: Continental U.S., Alaska and Hawaii,” 1995-96 (49-channel, closed circuit video monitors, neon, steel and electronic components). The borders of California, Nevada and Arizona. The intersections of Arkansas, Tennessee, Mississippi and Alabama. 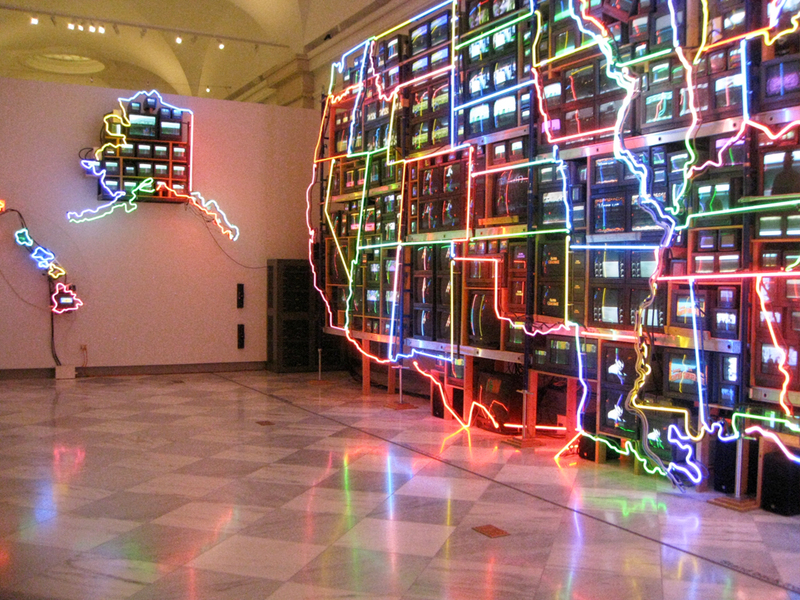 The installation is composed of 336 televisions, 50 DVD players, 3,750 feet of cable and 575 feet of multi-colored neon tubing.